As expected, LG introduced today a brand new wearable device, the Watch W7. What makes this one special over the previous ones is that it's LG's first hybrid smartwatch. Also, it's the first LG smartwatch to run Google's new Wear OS, although, sadly, not Qualcomm's newest Snapdragon Wear 3100 platform too. Since it's a hybrid smartwatch, the LG Watch W7 combines mechanical hands with digital functionalities. As such, it allows owners to choose how they want to use it and get the most of the smartwatch's battery. According to LG, the Watch W7 is supposed to run for two days on a single charge and up to 100 days in watch-only mode. 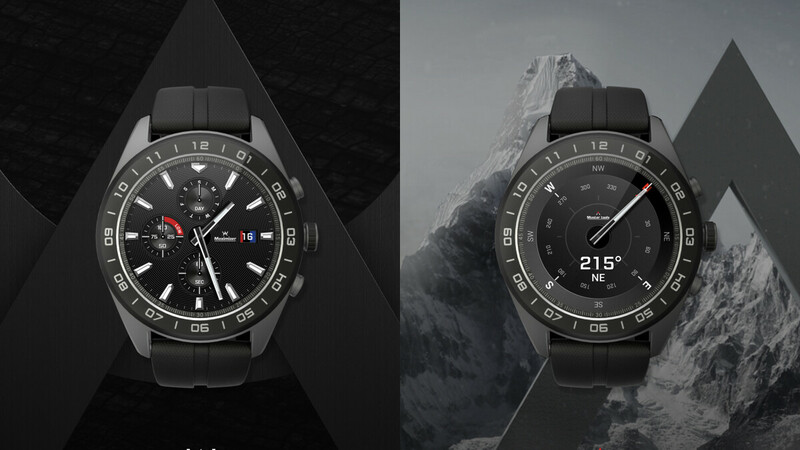 The smartwatch has been developed in collaboration with Swiss company Soprod SA, and it's the first full-screen Wear OS watch with mechanical hands (and a gearbox). Apart from showing the time, the smartwatch also displays additional information like altimeter, barometer, stopwatch, timer and compass direction. Specs-wise, the LG Watch W7 sports a 1.2-inch touchscreen display with 360 x 360 pixels resolution and 300ppi. It packs Qualcomm's Snapdragon Wear 2100 chipset, coupled with 768MB RAM and 4GB internal memory. The smartwatch drains energy from a 240mAh battery and it's both water (IP68 certification) and dust resistant. Starting October 7, LG Watch W7 will be available for pre-order at Best Buy for $449.99 and should hit the shelves on October 14. I like it, but it will limit the 3rd-party watchface choices. That's actually a good question that I never really thought about until now. You can tell the relative position of the hour hand to know about what time it is, so why is a minute hand so important...interesting observation. No competition for Apple watch.